So here at the farm we try and do the best we can to treat the Earth with the respect it deserves. We are so grateful for the amazing planet we live on that allows our homestead to function! With Earth Day coming up on April 22nd I thought I would share some ideas with you of simple things you could do to help the plant this Earth Day. Reuse things instead of throwing them away. Buy a water bottle you can reuse! Eat locally grown produce or grow your own garden! Ok I know, this one is kind of a given. But, we’ve all got those reusable bags that are sitting in the back of our car or are stuffed in the back of a closet. I don’t remember to bring my reusable bags until I get to the checkout and see them bagging my groceries in plastic. Oops. I’m working on it. But this Earth Day try and start the habit of bringing your reusable bags with you to the store. I buy the bags like this one that I can fold up into a small bag and then leave in my purse. That way I always have one with me. Not only is it normally cheaper to buy things in bulk, but when you buy things in bulk they tend to have a lot less packaging which means, less plastic. I use these bags when I buy things like bulk nuts, seeds, oatmeal etc so that I’m reducing the amount of plastic I’m using. Really though. 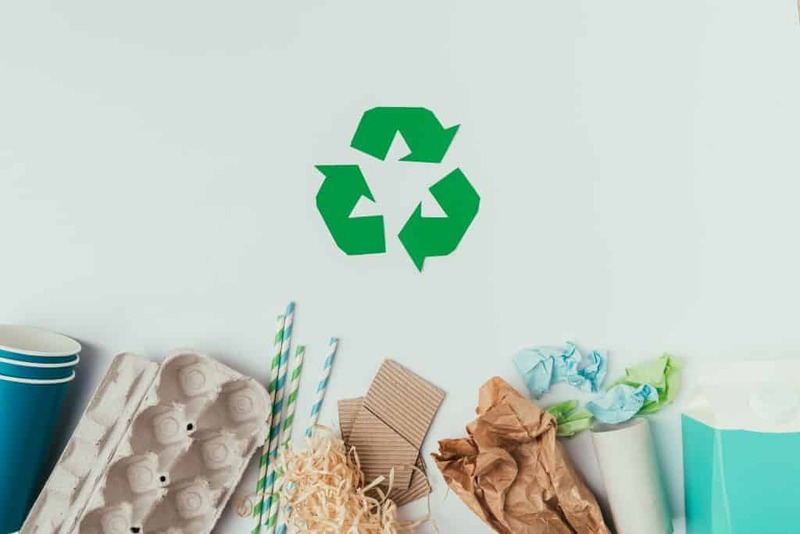 Look into what you can and can’t recycle in your area, and try to recycle as much as you can. So on our homestead we’re pretty frugal. I try and reuse things as much as I can. Before you throw something away try and think of a way you could repurpose it or maybe donate it to someone else who could use it. Composting is awesome! It’s good for your garden and it reduces your food and garden waste! 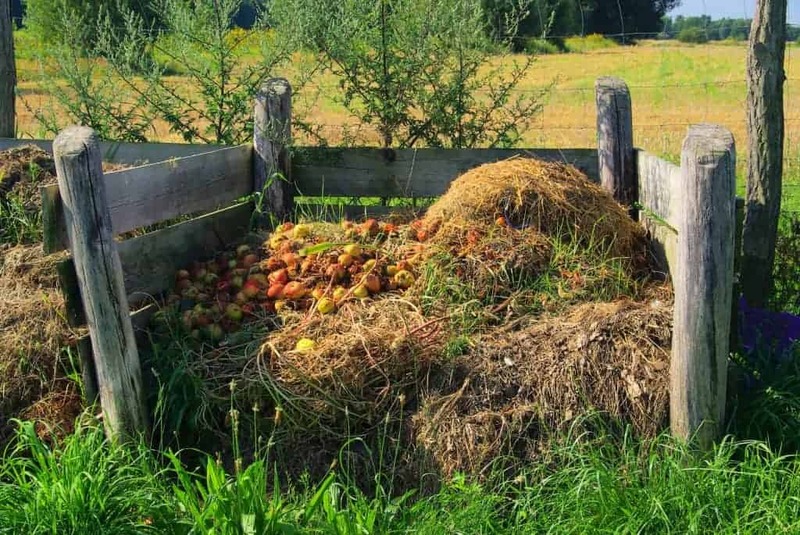 Check out this article for tips and trick on how to make composting easy. Buy a good water bottle that you can fill with tap water and use over and over again. I use this one because it keeps your water cold for so long which is amazing for a long day working on the homestead! It’s crazy how much water is wasted when you have a leaky sink, toilet, or shower. The EPA estimates that the average family can waste 180 gallons of water each week due to leaks. So fix those leaks! Xeriscaping is landscaping your yard in way that reduces or eliminates the need to water. This not only saves money, but it also conserves water, especially if you live in a dry area. Xeriscaping includes choosing grass and plants that are native to your area, using a drip system, and using water-efficient plants. Xeriscaping can also reduce the amount of work required to maintain your lawn and flowerbeds. Bonus! Check out this article for more information about xeriscaping. Using your car less is an easy way to help the environment. And it’s fun too! Ride your bike to the park with your kids instead of driving. It’s also a great way to motivate your kids to get outdoors and play! It takes a lot of energy and natural resources to ship corn to the United States in the middle of January. 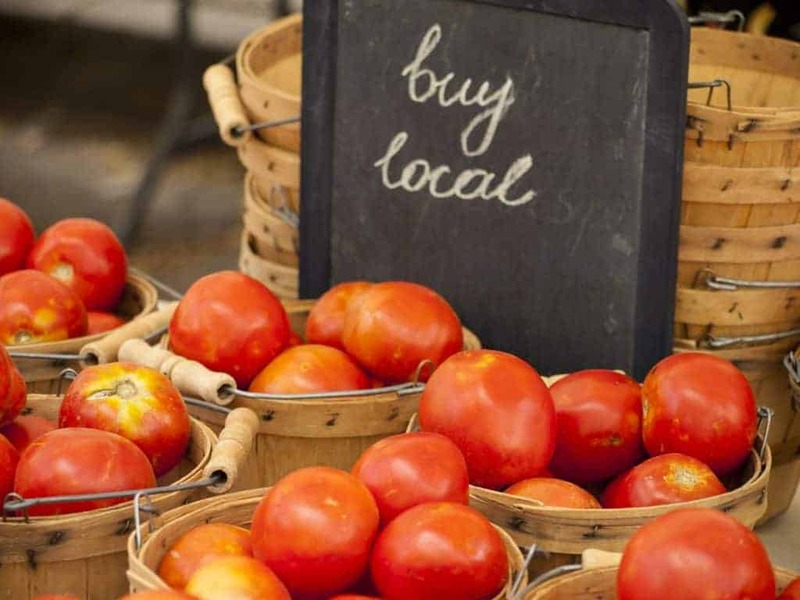 So head out to your farmers market and pick up some fresh, local produce! It tastes amazing and you’re supporting local farmers. Growing your own garden is also an awesome way you can help the environment. Thanks for reading our simple tips to help the planet this Earth Day! I would love to hear your tips on how you help the planet in the comments below!